At the Law Office of Ahmad R. Crews in Atlanta & Albany, Georgia, we offer comprehensive legal services in a wide range of practice areas in order to help our clients with their most important and pressing legal challenges. Founded by attorney Ahmad R. Crews, the Law Office of Ahmad R. Crews is establishing a strong reputation for providing high-quality legal counsel and representation that is both effective and affordable. 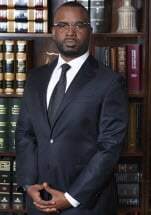 Well-versed in many legal areas, Ahmad R. Crews, Esq., can handle the demands of your case regardless of how complex or challenging, and Ahmad R. Crews, Esq., has received many positive reviews and referrals from clients fully satisfied with the level of service provided. During his legal education and career, Mr. Crews worked for the District of Columbia Court of Appeals and one of the premier criminal appellate practices in Georgia before establishing the Law Office of Ahmad R. Crews, and he possesses the skills and resources necessary to deliver innovative strategies tailored to help you achieve your specific needs and goals. To discuss your situation with no risk and no obligation, you can contact the Law Office of Ahmad R. Crews to schedule a free initial consultation.